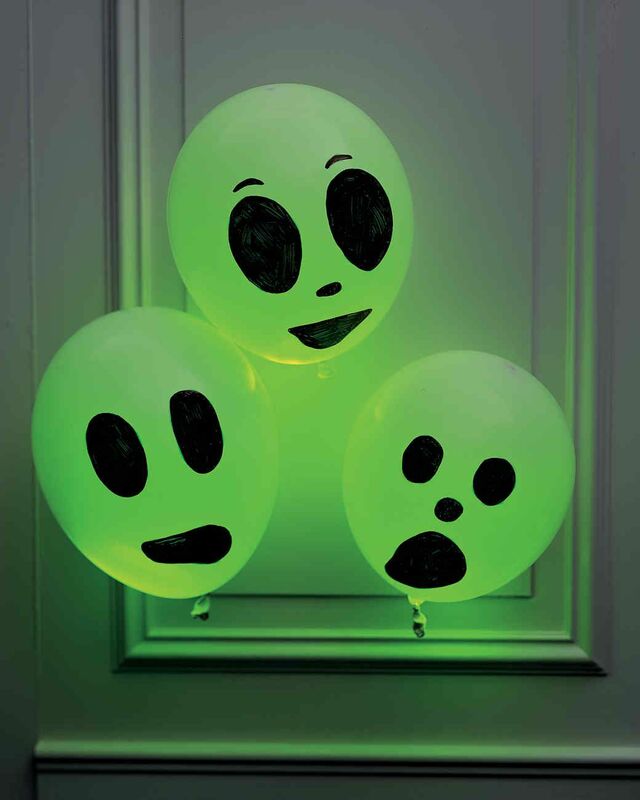 Add some otherworldly creatures to your decorations this Halloween with these very spooky glowing balloon aliens. Making them is a sinch – crack some glowsticks, put them in the balloons, blow up the balloons, then draw on faces with a marker. Martha Stewart thinks these are ghosts, but their green color makes them look like alien heads to us! However don’t be fooled – you can use other colors of glow sticks besides green, and it would look quite neat if you did!